13/05/2017 - We are happy to announce that FHN Germany decided at it's annual meeting to launch a third project together with The Sweden Nepal Society. The Sweden Nepal Society will be building a health center in rural Nepal (Thokarpa). FHN Germany will support the project by financing the education of nurses and health workers at Kathmandu Medical College (KCM). Malin Emgård will be the future project coordinator and the link between FHN and The Sweden Nepal Society. SNS is an organization founded in 1992 in Sweden and in every aspect shares our values. We are looking forward to be working with The Sweden Nepal Society (SNS) and will keep you up to date on the progress in Nepal via Facebook, our newsletter and on our website! We are sad about the passing of Guido Tomalá, our laboratory assistant of the health centre in La Y de la Laguna, Ecuador. Guido passed away on 20 February 2017 from the consequences of a severe traffic accident. He was only 37 years old. Guido is survived by his spouse and three children. Guido was a wonderful example of successful development cooperation. He was recruited by FHN in 2002 in a neighbouring village. 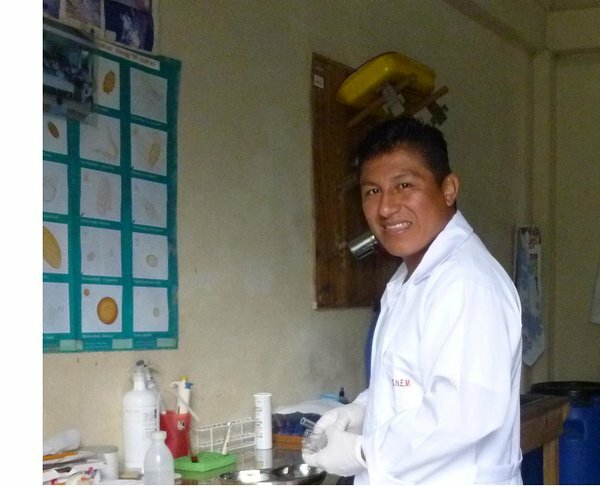 In collaboration with the Ecuadorian health authorities, FHN trained Guido to become a laboratory assistant. He was first employed by FHN, later by the Ministry of Health. Besides his work in the laboratory, he led the implementation of many public health projects in the region. Guido had very good knowledge of the health project and the local context, and strong relationships to the local population, all of which was of great value for the work of FHN. It will be difficult to fill the gap, which Guido is leaving behind. Most of FHN’s board members new Guido personally for many years. We will miss him staff member and friend. Our thoughts are with Guido’s family. 24/04/2016 - Please download the special issue of our newsletter which describes the current situation in El Páramo after the earthquake and summarises current health needs of the local population. 17/04/2016 - An earthquake of magnitude 7,8 has hit Northwestern Ecuador on this night. The epicenter was just about 20 km away from our project region El Páramo. Since then, there have been several aftershocks. We keep you updated on this site. Saturday, 21st of May: Yesterday, a meeting was organized in Quinindé to discuss the demolition of the look-out tower in La Y de la Laguna. The mayor, the fire department, the police and the Red Cross were present as well as governmental institutions. The safety risk was again emphasized. A plan was developed to transport demolition equipment to La Y on Friday. This plan will, however, depend on the availability of the equipment, the weather and the conditions of the streets. Meanwhile, administrator Silvia is enquiring about alternative housing options for the medical team. Thursday, 19th of May: In the night from Tuesday to Wednesday at 2:57 am there was a strong aftershock of magnitude 6,7 in the Region. Inhabitants left their houses in panic. There was no electricity. Two persons died - likely due to heart attacks. Some people were injured by collapsing houses/falling items in the household. The cracks in the health centre's walls have become bigger, so have the cracks of the look-out tower. Currently, there is no concrete plan for tearing the tower down as many questions remain open: who is responsible for tearing it town, who pays for it and when can it be done? A church wall collapsed, as well as a wall in the local school. Further school buildings have been damaged, too. In general, the medical staff has noticed more diseases since the beginning of the earthquakes which might be related to the unsafe situation in the region, e.g. high blood pressure, anxiety and insomnia. The board of FHN Germany is debating on how best to support the staff on site. Thursday, 12th of May: After a long delay, finally, the frail look-out tower got inspected by an expert from the Ministry for environmental protection from Quito yesterday. The tower needs to be demolished due to its risk of collapsing. The upper part of the tower is already bending slightly towards the health centre. How, when and by who the tearing down will be conducted is still unclear, as well as by who the costs will be borne. On Monday, our administrator Silvia was promised to receive the assessment's results in writing, which she will use to ask for financial support in different governmental bodies. On Tuesday, an appointment with the mayor of the district capital Quininde is planned. Tomorrow a delivery for the laboratory is expected, which was funded by FHN's emergency fund. With that it will be possible to conduct examinations of urine, pregnancy and blood sugar. We received a list with further laboratory equipment which got destroyed during the earthquake and is to be replaced. This list will be assessed and a plan developed of what to fund and when. Tuesday, 10th of May: For Wednesday, 11th of May, an expert visit is planned in order to assess the look-out tower's safety status and risk of collapsing. At the same time, the walls of the health centre and the 'casa multiple' are to be assessed. Necessary measures shall be defined afterwards. At the same time, we got in touch with the EU and a delegation of the latter in Ecuador, as the EU had once initiated the construction of the tower. There may be a possibility of receiving support in assessing and potentially removing the tower. Thursday, 5th of May: We are still trying to get an expert to assess the frail look-out tower and related safety risks. Tuesday, 3rd May: Further aftershocks have severely damaged streets in the region. Landslides furthermore hinder transportation. 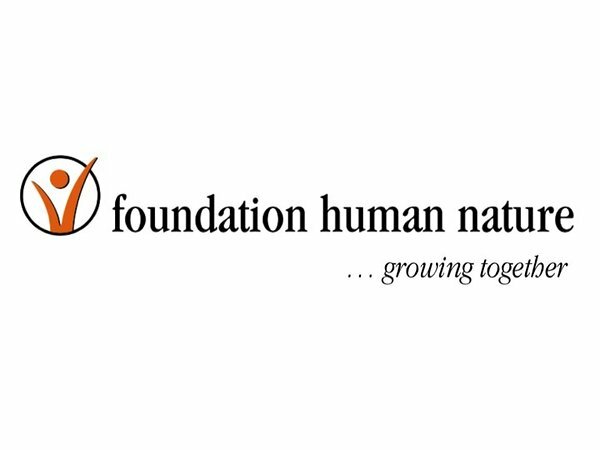 Parts of the emergency funds released by FHN have been used to buy medications and materials. Since Saturday (30th April) there has not been any internet connection. Week 25th - 29th April: Silvia contacted different governmental institutions to get support in assessing the safety risk related to the look-out tower. A few appointments were made, and an assessment on site took place - without any concrete result so far. The distance between Quinindé and La Y de la Laguna currently takes up to 2.5 hours as streets and paths are not accessible all the way. Due to the aftershocks, more villages has suffered damage. In the village "Juanita", 11 houses were damaged, a few are at a risk of collapsing. Detailed information is lacking. Sunday, 24th April: We had a phone call with our laboratory responsible Guido. He and his family are doing well. Still, inhabitants of El Páramo and the coastal regions suffer from the aftershock's consequences. Guido reiterated his try to acquire the most urgently needed laboratory equipment from the district hospital - without any success. He will share his list of things needed to build up the laboratory with us. Based on this, it will be decided whether the 2,500 USD of immediate financial support that we had transferred will be sufficient. Tomorrow, the health centre's and the "casa multiple's" power cables will be checked. In Ecuador, these are fixed directly onto the walls so that damages are easily detectable. We hope that no power cables have been damaged as these would represent a real danger for staff members and patients. Friday, 22nd April: Information from a 1h phone call with our administrator Silvia and Dr Idania: The midwife's office cannot be used anymore, as walls are at risk to collapse. In the "casa multiple", the stairs leading to the first floor are broken, as well as the balcony that surrounds the "casa" and gives access to the individual rooms. Due to the instability of the walls, none of the doors can be fully closed anymore - neither can they be locked. Staff members are afraid of not being able to open the doors at all should another aftershock happen. Thus, doors are left open, which involves the risk of not only mosquitos but snakes entering the house and individual rooms. Our laboratory responsible Guido compiled a list with what is needed for reconstructing the laboratory. He presented the list at the district hospital in Quinindé to get support. Unfortunately, neither funds nor spare equipment could be provided. On Friday 22 April, the city council was closed so that Silvia is planning on going there again on Monday 25 April to ask for an expert to assess the fragile look-out tower and advise on measures to be taken in order to guarantee safety for staff members, patients and neighbours. There is no information yet with regard to the cistern. It is currently filled with water as it has been raining regularly. Any damage would only be able to be reported in the dry season (May to September). Thursday, 21st of April: There have been several aftershocks. The cracks in the health centre's walls have become bigger. Staff members fear that three walls might collapse should there be any more aftershocks. Dr Veronica informed us that the look-out tower, which is made from concrete, has been moving threateningly during the past aftershocks. Due to the continuing threats of aftershocks, the school has been closed down until June. The government is considering increasing the value-added tax in order to finance reconstruction work. Our administrator Silvia had a meeting with the responsible persons at the district hospital in Quinindé to find out which type of support could be expected from their side. We are not very hopeful in this regard as the whole country is in a state of emergency, and sufficient medications and materials could not even be provided at other times. The road leading from Quinindé to La Y has been damaged even more, making it impossible for "rancheras"/small busses to pass - people need to walk parts of the muddy road. The medical team is particularly worried about how pregnant women who are due to give birth within the next two weeks are going to travel to Quinindé. Wednesday, 20th of April: Today, 525 deaths and more than 4,600 injured were counted. More than 300 people are still being missed in the entire country. Since Saturday, more than 400 aftershocks have happened. A magnitude 6.6 aftershock last night left the staff members in La Y and our administrator Silvia sleepless. Unfortunately, we do not have news regarding a stress analyst/structural engineer who should assess the look-out tower between the health centre and the "casa multiple" in terms of it being a potential safety threat. Tuesday, 19th of April: Our administrator Silvia sent her replies to most of the questions we had posed her. For now, it seems that, fortunately, there have not been any deaths due to the earthquake in La Y and the surrounding areas. The number of injured people is low. Injuries have mostly been caused by tumbling down walls of buildings. The walls of the health centre as well as the accommodation/house "casa multiple" cracked. The laboratory equipment is completely destroyed. Inhabitants are worried about a concrete look-out tower between the health centre and the "casa multiple", which they fear might collapse should another aftershock happen. Due to this, neither the staff members, nor the patients feel safe. FHN Germany offered an emergency fund of 2,500 USD, for the health centre to quickly be equipped with necessary medications and materials. In addition, a stress analyst/structural engineer shall be hired to examine the look-out tower's current state and potential safety risks. A Skype call with the health centre's staff members and FHN Germany is planned for 21 April. Monday, 18th of April: Another call trying to reach Silvia was unfortunately not successful. We send her an email hoping to get through. We hope there will be an answer soon. Monday, 18th of April: Our administrator Silvia travelled from her home to the project region to La Y. She could get to the health centre. During her trip she saw some destroyed houses, in La Y as well. Luckily, so far we have no information about dead people from the village. The connection via mobile phone is still bad. However, we got the information that the team will start to examine if the health center is safe to enter and work in. The next goal is to secure the medicines. Sunday, 17th of April: The midwife seems to be in the health center together with one of the nurses and the female doctor. However, we do not have any contact with them as the mobile network is down. We hope to get more information tomorrow in order to provide the project region with quick help according to our abilities. Sunday, 17th of April: The nurse, midwife and administrator of the health center are well. Thus far we do not have an overview over possible injured, dead or damage on the health center. Some of the employees are in a neighboring village on a health brigade and cannot be reached due to the unavailability of a mobile network. 26/02/2016 to 28/02/2016 - The Germany Board held a face-to-face board meeting to plan future activities of the Foundation.